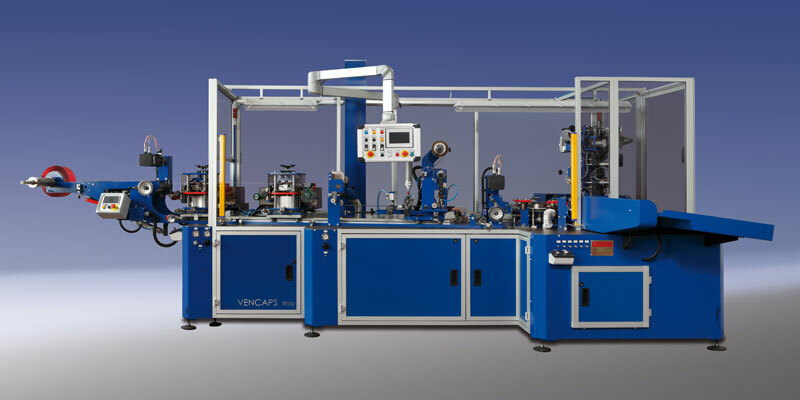 Vencaps is specialized in the design and manufacture of machinery for the production and printing of aluminium foil oversize closure in PVC and PET. Machines for closure for champagne bottles, wine, food and industrial sectors. However, we can also develop special, dedicated machines for closure to meet the customer's special processing demands. Vencaps provides a full range of after-market technical services, even on-site service when necessary. We guarantee the supply of spare parts fot out machines for closure and offer technical consultation both to companies just starting out and those wishing to improve their own production. The machines for closure come with modem for remote service.